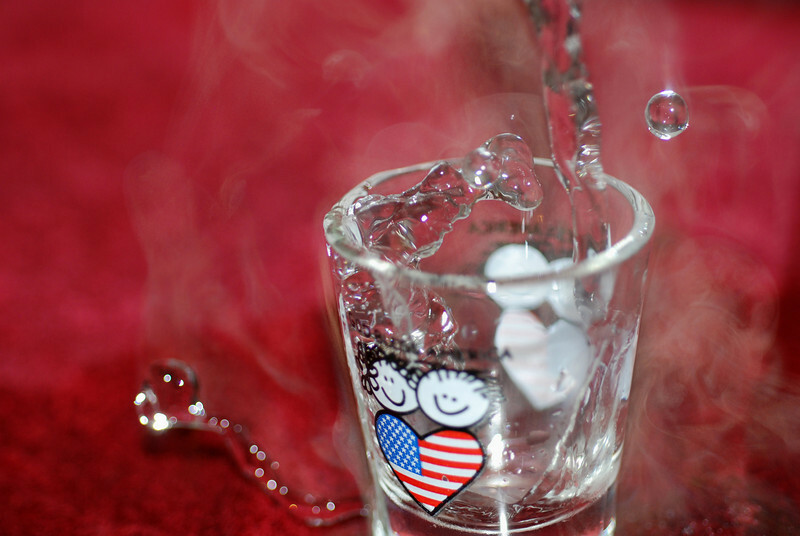 Pouring near-boiling water into a God Bless America shotglass. It took quite a bit of practice to time it right, but I think the splashing water looks pretty cool, and it's definitely more interesting with the steam. Still, a very random photo.